Will "Rush Hour 4" still happen after all? 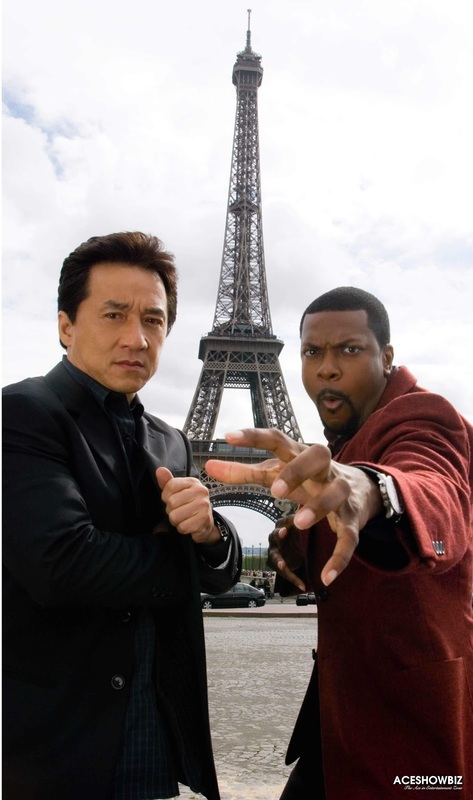 Though Jackie Chan has announced earlier this year that he would no longer do an action film, his co-star Chris Tucker is still confident that the fourth installment of the action-comedy film franchise will still move forward. Speaking to E! News during the recent L.A. screening of "Silver Linings Playbook", Tucker said that making "Rush Hour 4" is "going to be a lot of fun." Though he knew his co-star refused to do another actioner, Tucker said, "I hope it happens. We need to do one more." "I just want us to be free and do our thing," Tucker continued. He also admitted that working with the Hong Kong actor was a great experience, gushing, "I love working with Jackie, being around Jackie. Stuff just happens when we're together." The plan to make the fourth "Rush Hour" film has been set for quite a while, but there has been no updates on the potential project. The first three films were directed by Brett Ratner, but he has yet to sign on to the possible fourth film. Back in May, Chan announced that he would quit action movies to become "the Asian Robert De Niro." Saying that his last actioner would be "Chinese Zodiac", Chan stated, "I tell you, I am not young any more ... I am really, really tired. The world is too violent now. It's a dilemma because I like action, but I don't like the violence." "I don't just want to be an action star ... I want to be a true actor. I want to be an Asian Robert De Niro. I want to get rid of my image," he added. "So, for the last ten years I've done other films like 'The Karate Kid' where I'd rather play an old man. I want the audience to know I'm not just about fighting or comedy, also I can act." Template Design by Wajeeh ul Hassan Social Media and Blogging Expert.